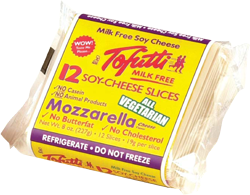 I know everyone can easily make a simple grilled cheese, but I just want to share about this Tofutti dairy free and gluten free cheese to the readers who don't eat dairy and gluten free, This slices cheeses is great for any sandwiches. 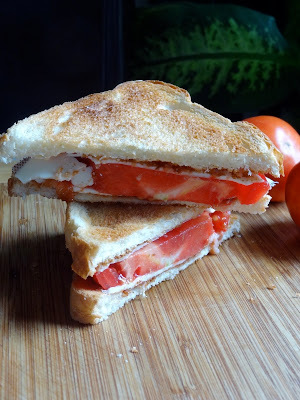 If you have too much tomato from the garden this late summer use some of them for this grilled cheese tomato or sandwiches. 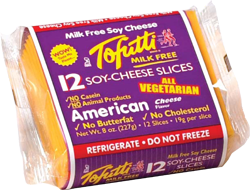 tofu cheese slices? New to me and don't know if we have it here. If I can find, will make the toast, not for me for sure but for my other half. Its simple and delicious. We certainly won't find them here...at least not now. Your sandwiches look so good!! Certainly is a nice choice that you can choose to have a great grilled cheese sandwich...with dairy 'free' cheese. My daughter and little grandson will love this!